The Anakin Skywalker Kids Gloves are available in One Size Fits Most Kids. 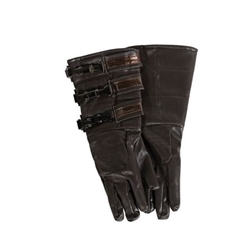 Suit up this Halloween with the Anakin Skywalker Gloves! Whether you’re getting ready for pod racing or for light saber duels, these gloves will serve you well. Also works great for steam punk costumes!